A board game where players control a giant whirlpool with a shark in it. A few months ago, I saw some people play a video game called Venture Street. It was like Monopoly, but the board was dynamic. I made a board game inspired by that. 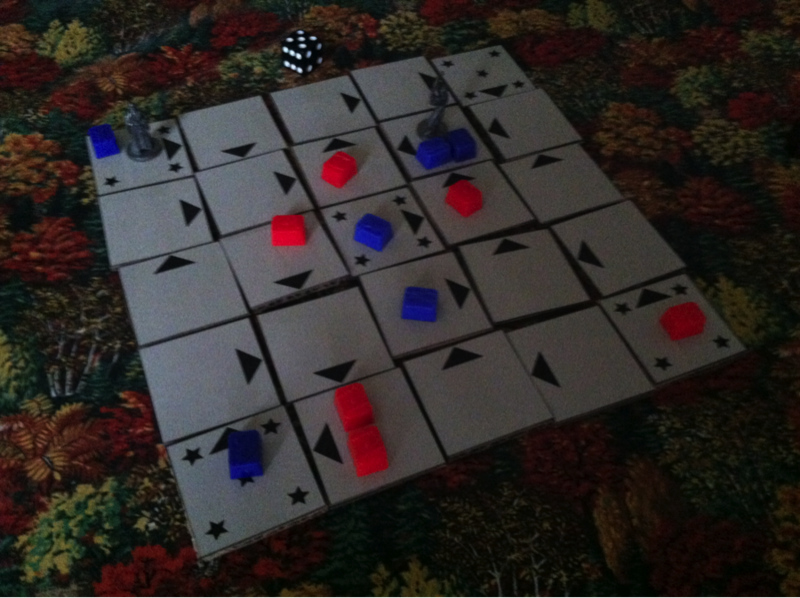 The main idea behind this game was that the entire board was made of rotatable tiles. Players would rotate them each turn to gain positional advantages over the other players. The rules, if anyone wants to try them out, are right here. And came up with Russian Shark Roulette. The idea here is that, using the tiles, we have a whirlpool where the players are trapped and must try to survive the man-eating-shark. I've been working on this in my spare time for the past ~3 months. It's been a fun ride and a lot of people really like what I've made so far! Good feelings all around. On a player's turn, he first rotates (almost) any tile on the board. Generally, he's going to try to rotate it so that anyone but him will be in the path of the shark. Then he rolls a die and his swimmer follows the tiles in that many spaces. He rolls another die and the shark follows the tiles in that many spaces. If the shark passes by or lands on a player, Bad Things happen. And that's the gist of it! I'll be presenting this at Plattecon at the end of the month. I look forward to seeing some of you there! 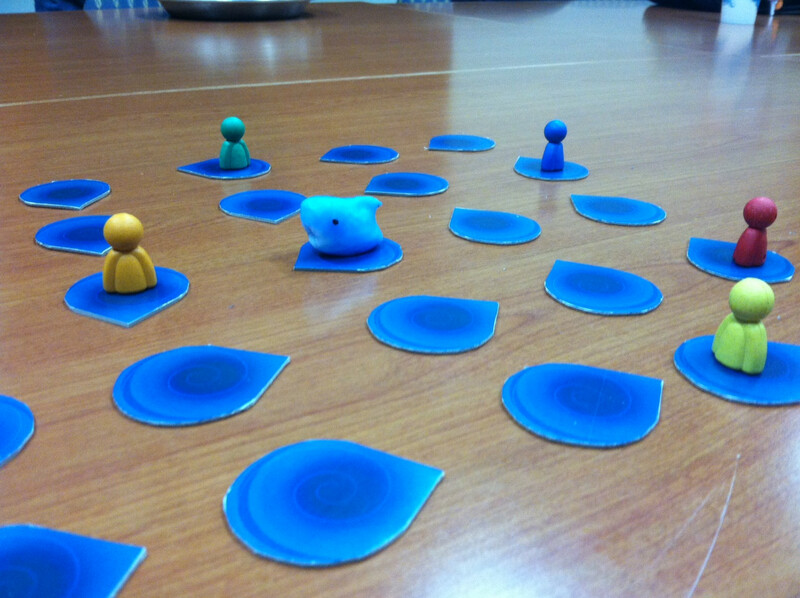 The pieces used in this game were handcrafted by Print & Play Productions! I heartily recommend them; customer service was fantastic and the price I paid was very cheap. The shark was molded by my sister. It's so cute. I'll do another post about that in the future, if people are interested. If you want to print your own version of this game, feel free. I have yet to really look into merchandising this, but people keep saying I should, haha. And thanks for reading! The next time I post here, it will probably be about Chocolate Box, an RPG system influenced by games like Battleship and FTL.